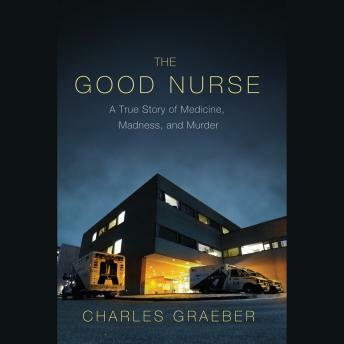 Listen to "The Good Nurse: A True Story of Medicine, Madness, and Murder" on your iOS and Android device. After his December 2003 arrest, registered nurse Charlie Cullen was quickly dubbed 'The Angel of Death' by the media. But Cullen was no mercy killer, nor was he a simple monster. He was a favorite son, husband, beloved father, best friend, and celebrated caregiver. Implicated in the deaths of as many as 300 patients, he was also perhaps the most prolific serial killer in American history. Cullen's murderous career in the world's most trusted profession spanned sixteen years and nine hospitals across New Jersey and Pennsylvania. When, in March of 2006, Charles Cullen was marched from his final sentencing in an Allentown, Pennsylvania, courthouse into a waiting police van, it seemed certain that the chilling secrets of his life, career, and capture would disappear with him. Now, in a riveting piece of investigative journalism nearly ten years in the making, journalist Charles Graeber presents the whole story for the first time. Based on hundreds of pages of previously unseen police records, interviews, wire-tap recordings and videotapes, as well as exclusive jailhouse conversations with Cullen himself and the confidential informant who helped bring him down, THE GOOD NURSE weaves an urgent, terrifying tale of murder, friendship, and betrayal. Graeber's portrait of Cullen depicts a surprisingly intelligent and complicated young man whose promising career was overwhelmed by his compulsion to kill, and whose shy demeanor masked a twisted interior life hidden even to his family and friends. Were it not for the hardboiled, unrelenting work of two former Newark homicide detectives racing to put together the pieces of Cullen's professional past, and a fellow nurse willing to put everything at risk, including her job and the safety of her children, there's no telling how many more lives could have been lost. In the tradition of In Cold Blood, THE GOOD NURSE does more than chronicle Cullen's deadly career and the breathless efforts to stop him; it paints an incredibly vivid portrait of madness and offers a penetrating look inside America's medical system. Harrowing and irresistibly paced, this book will make you look at medicine, hospitals, and the people who work in them, in an entirely different way.